No, we don’t yo to take it easy with Pinot Grigio. We want a wine that will yo-yo with your expectations. The sleep of reason, wrote Goya, brings forth fools. As far as much Pinot Grigio is concerned the seep of raisins brings forth gruel. Emasculated, marrowless wines, almost offensively inoffensive. Egregiously so! Grapes are unexpressed potential. Those that are born of industrial farming, have no potential to express – nothing can come of nothing. If the farmer has beautiful healthy organic vineyards, then he or she is cultivating something “material”. When certain grapes ripen, the skins change colour and the juice acquires substance. 99.9% of PG is pressed, chilled and sulphured immediately, then cold-fermented in massive tanks before filtering and being given another hit of sulphur. Below are some gems that illustrate that you can make a silk purse out of… silk. Dario Princic is located in Oslavia in Friuli-Venezia Giulia, very close to the Slovenian border. He has farmed his 7ha of vines organically since 1988, and his yields are extremely low. The 1.5ha plot of Pinot Grigio is just over 20 year old vines planted on the typical ‘ponca’ soil (friable calcium/limestone marl) mixed with clay. The grapes see a seven-day maceration on the skins in large open-top oak and chestnut fermenters, and the wine is aged for 2 years in botti, tonneaux, and used barriques. No fining, no filtering. Another one of Princic’s characteristically idiosyncratic ambergris offerings this Pinot Grigio – come back, come back, I say – (banish for an instant from your mind notions of emasculated, milquetoast, mimsy gnatspiss effusions) explores the “real” potential of the grape variety. A combination of beautifully healthy ripe grapes cultivated in biodynamic vineyards from exceptionally low yields, lengthy maceration on the skins, wild yeast ferment and no filtration or fining produce a wine with all its component parts intact. This baby can age. The harvest tends to be in mid-September with selected grapes from low yields only, eight days maceration on the skins in wooden casks, nothing controlled as always. The fermentation is done in big wooden vats with indigenous yeasts – as per usual – covered only with a plastic film (to keep out pesky fruit flies). No batonnage is made as the lees moves biodynamically. The wine rests, mellows and generally ruminates for two and a half years in tonneaux before bottling. 100% fermented juice, nothing is added… as the man himself says. It has a dark pink-amber colour, with exotic and ripe fruits, mutating all the time. The Pinot Grigio is prettier than the rest of Princic’s snorting stable of orange-amber whites with its rose-tinctured delicacy, but it is still a remarkable wine and will change from day to day and even from glass to glass. This then is PG PG (Parental Guidance Pinot Grigio). Fuoripista means off the beaten track (off-piste), an apt description of a Pinot Grigio vineyard nestling under the pink-stoned Dolomites. Elisabetta Foradori acquired the old-vine fruit a couple of years ago and made a wine that redefines this prosaic grape variety. Superb biodynamic farming, native yeasts, ambient ferment, gentle crush allied to eight months of skin contact in amphorae (tinajas from Villarobledo, Spain) liberates and emphasizes the delicate character of this Pinot Grigio. It is through the use of amphorae (tinajas from Villarobledo, Spain), their shape and the porosity of the clay, that all the phases of the transformation from grape to wine are carried out with purity and balance. This results in a bright and bonny onion-skin coloured wine with a delicate perfume of dried and fresh flowers and cool energetic palate of river stones and herbs. Enchanting. Whilst we are exploring the finer flavours of Pinot Grigio let us travel to the Chehalem mountains in Oregon. In 2013 the “Amphorae Project” began as an attempt to marry Andrew Beckham’s two passions – making wine and producing art. Drawing inspiration from Elisabetta Foradori (q.v. ), Andrew began experimenting with fermenting wine in amphora. The terracotta amphorae are incredible insulators. As he says: “The fermentation in amphorae has been much cooler and more prolonged compared to conventional fermentation vessels. Fermenting in amphorae means natural temperature control. Primary fermentation takes around three weeks to a month for completion. Largely because of the cool and prolonged fermentation the wines coming from amphorae are bright, high toned and very compelling. Ageing wines in the vessels has also yielded some incredibly interesting results. There is a common textural component similar to dusty brick. There exists an iron-driven earth tone regardless of varietal”. A & D Beckham Pinot Gris is fermented 30 + days on skins in the very amphorae forged by Andrew himself. It is then matured 50% in amphora and 50% in acacia barrels. This rosy-hued wine gets better and better with time; herbs, spice and skin tannin season the lifted red cherry fruit and there are subtle back-notes of earth, spice and dry honey. Other growers who make pinky/orange wines from Pinot Gris include Pierre Frick, Alex Craighead and Yoshi Sato. Sergio and Elisabetta Fagiuoli came to Montenidoli (mountain of the little nests) in San Gimignano in the Tuscany region of Italy in 1965. Elisabetta comes from a family with winemaking traditions dating back to the 1700’s in Verona. The estate was set up revolving around these customs and beliefs, most important being respect for the land. They planted land that had long been neglected with indigenous grapes and the traditional varietals of Chianti: Sangiovese, Canaiolo, Trebbiano Gentile, and Malvasia Bianca. Vineyards are farmed organically, “sunlight and clean air” are thought to be “the best medicine to make the vines healthy, strong, and resistant to disease”. We are particularly taken with the Canaiolo Rosato whose free-running, freshly pressed juice is fermented slowly, and “bottled as soon as the sugars have fermented, to maintain its freshness”. Pale coral-pink in colour the wine is elegant and refined wherein the soft berry fruits glide atop a mouth-puckering acidity, whilst minerals and a trace of bitter almond comprise the dry finish. Sprightly and refreshing, this is a fantastic companion with lighter dishes, but that vibrant acidity makes it a star with soft, fatty goat’s cheese. I don’t know why rosé is always viewed as the Molly Ringwald of wines. You do, after all, come across versions that have the gravitas and ebullient punch of an Albert Einstein being fired out of a circus cannon. This volcanic version from Etna is as good as it gets. Which makes it the Jack Nicholson of wines. Salvo Foti, for it is he, is the leader of the natural wine movement in this volcanic corner of Sicily. While extreme in some respects (racking and bottling under a lunar cycle), he is a pure spirit of natural viniculture and if you want to understand Sicilian winemaking in the Etna DOC, start with Salvo Foti. Foti is the organizer and leader of the I Vigneri project, named after a Vintner’s Guild founded in 1435 to align the small vineyards in Sicily around the cultivation of the alberello bush vine. Five hundred plus years later, the intent of the project is the same. Vinudilice is a rosé wine from the Bosco vineyard, nestled in a vast forest of holly oaks (quercus ilex) in the territory of Bronte (Etna North), 1300m above sea level. The Sicilian name of the holly oak, ilice, gives it its name. Vigna Bosco is one of the highest vineyards in Europe and boy do we know about high vineyards. The indigenous mish-mashed grape varietals are Alicante, Grecanico, Minella Bianco, Minella Nera, Nerello Cappuccio. The 0.35 hectare vineyard is ancient with most vines being over 100 years old and a venerable third being more than 200 years old (!! ), all trained according to the Etnean alberello (bush-training) system in a 1m x 1m scheme, equivalent to 10,000 vines per hectare. This tiny patch of land is cultivated by hand and with the help of Ciccio the mule. The soil is ash and sand with the volcanic rock outcrops as well. The extreme temperature fluctuations in the vineyard give rise to grapes that are ripe yet delicate and the elevation ensures that a high level of acidity is always present giving the resultant wine a freshness and vibrancy alongside density and depth. No chemicals in the vineyard, natch, and natch winemaking all the way with no refrigeration, yeasts or filtration used. Or sulphur. For good biodynamic measure decanting and bottling follow the phases of the moon. What makes it fizz is that is the metodo ancestrale. With the wine put into bottle with residual sweetness. Salmon in colour, the wine is delicate and extremely fine with a core of ripe boysenberry and raspberry fruit, a nice lick of juniper and a hint of cool wet rocks on the finish. Fresh, vibrant and long on the palate this is an incredibly pure wine from an incredible site. I feel when rosés ramp down on the hubba-bubba fruit that less becomes more; you want a something to cut the sweetness. Cold ferments and high sulphur will lead to hollow, inconsequential milquetoast wines. The pretty colour in the glass makes us both underestimate and overestimate these wines. Lollywater is lollywater, be it pink, white or barely red, but good wine is colour-blind. The best rosés then come from amazing micro-climates, are vinified with the same attention to detail as red wines and possess a salty minerality that defines the fruit. In fact, the fruit is less important than nuance and internal structure. It’s time that we stopped branding wines by their colour even if it works as kind of a marketing tool to hype a particular style of wine. As always what matters is the wine itself. By their pink wines shall ye not always know them and native of Kamptal Matthias Warnung by blurring the palette (and the palate) blurs the boundaries between serious and frivolity. We have seen it before in his Feldstuck Riesling. Most growers abhor the idea of phenolics with Riesling. It should be unbruised, clean as a while, limpid, running the gamut of citrus from A to vitamin C. Yet Matthias gives it skin contact, allows the malolactic, a long long maturation on the lees in old barrels. It works! His Etsdorf Zweigelt rosé equally is no watery quaffer. It may have a pale colour but it throbs with sheer saline minerality. Lagging several vintages behind other pinks this derives its strength and structure from low yields, ambient slow native yeast ferments with long elevage on the lees in large old Austrian oak barrels. The wine normally undergoes a malolactic conversion and finishes dry with a suggestion of pepper and a gentle astringency. The second Zweigelt Rosé is care of Judith Beck who makes wines in Burgenland where the soils are extremely diverse. In fact, a single vineyard alone can comprise humus, gravel, loam, limestone and minerals – the ideal basis for complex, multi-faceted wines that reflect their origin. Naturalness and identity are the features that Judith Beck wants to see and to show in her wines. This approach is also a reason that she has been inspired by the ideas of Rudolf Steiner since 2007. That means she uses holistic methods in her biologically-managed vineyards in order to keep the vines naturally healthy. This includes greening, care for biodiversity, fertilizing with biological humus. Working by hand, consideration of the moon cycles and more. Consequently, Judith Beck does not add cultured yeasts, but instead “risks” allowing her wines to ferment spontaneously – in other words, truly naturally. The Pink (as it is called) is certainly perky, pure Zweigelt harvested by hand, pressed directly, fermented in stainless steel vat and undergoing five months ageing on the lees with just a light filtration before bottling. It has a light rosé colour, pronounced flavours of wild strawberry and peach kernel, is well-balanced with nice fresh acidity. Allegro shows Julian Castagna’s dedication to making fine wines. For him rosé is usually all too often made as an afterthought, with no intent for ageing, a confected product for a short-term purpose, the vinous equivalent of alcopops. Allegro is about unlocking complexity and intrigue. “I need no residual sugar to create texture and weight, I just leave it alone in barrels to build texture and complexity in a natural environment”. This works brilliantly and the wine is multi-layered with crushed herbs and spice, chalky and dry, cherries, pippiness and then a savoury quality. Salmon-enchanted Syrah. We’ve seen the classic style of rose wine made by means of short maceration or saignée method. There’s another kind of wine, which is juice of indeterminate colour, a blend of what is available to create something incredibly drinkable – with a bit extra. 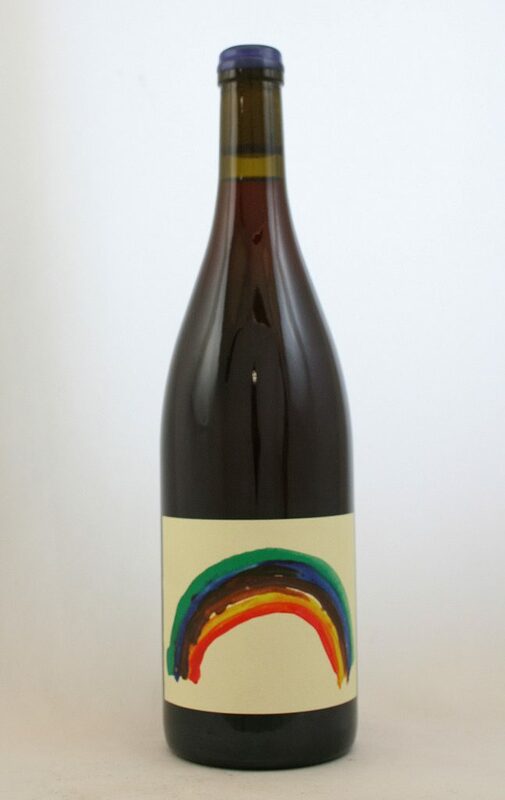 Gentle Folk’s Rainbow Juice is a merry medley of 23 or so grapes (don’t ask), red, white and all the colours in the spectrum. After a four-day maceration the juice goes into used barrique. The wine does what it says on the label; it’s an exhilarating nouveau-style mash-up. To call them red wines is not strictly accurate – they are part of the popular new wave of juicy Aussie wines where grapes of all creeds and colours are co-fermented and the result are “infra-reds” that are roses by any other name. Grape to gullet – do not pass go! Pink Pound is one of many wines that Pat Sullivan makes that it is pinkie-orange-amber vein. He rarely ties himself down to grapes but revealed that this particular currency was a combo of Pinot Noir, Sauvignon Blanc and Gewurztraminer. Grapes are harvested by hand, fermented in stainless steel, with the Pinot pressed early for a light colour, indigenous yeast, ambient ferment and bottled without filtration or fining. This textured beauty opens up with aromas of tangerine peel and a lick of musky, exotic fruit; as a rush of spice, ginger, light red berries and fresh acidity round out the experience. Patrick makes sophisticated gluggers with his off-cuts. He’s even made a wine called Haggis, so named not because it is fermented in a sheep’s stomach, but because it is an assemblage of leftover white and red grapes, fermented naturally. A kind of offal wine, certainly not an awful one! Great recommendations! This is my favorite time of year, perfect for rose! We’ve been exploring DO Emporda this week, and have seen some amazing new 2017 roses coming out. So excited!